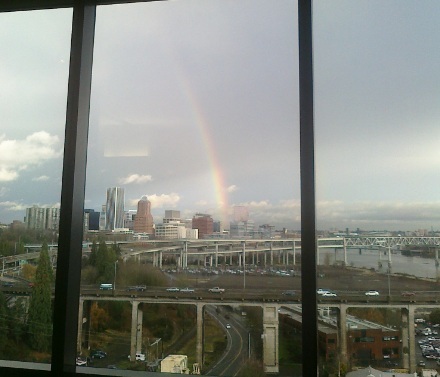 The view from my fertility clinic on a gray day in December 2011. When I was about to embark on my first IVF cycle, I was on a quest to find my “Infertility Twin-” the woman who was once just like me (same age, same diagnosis, same fertility stats) – but now had a baby. I’m hoping to make it easy to find and connect with others sharing similar experiences here. Some stories are listed several times if they fit in multiple categories. Writers’ contact information (Twitter, blog and/or email) are listed at the end of their stories. And if you have a story to share, please let me know.